▲ I like statues of national heroes popping up far from home. 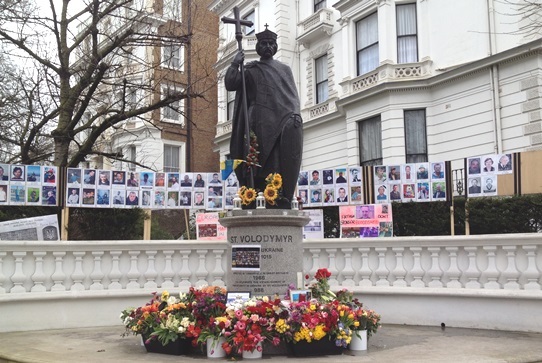 Near my home in London this statue of the Ukraine national hero St Volodymyr (aka Vladimir the Great) has been flower bedecked recently as the struggle with Russia grinds on. It’s on the corner of Holland Park Ave and Holland Park in Kensington W11, across from the Holland Park Tube Station. 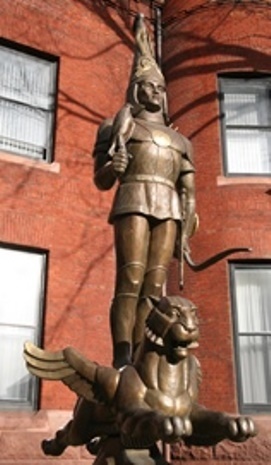 ◄ Staying at the Hotel Rouge next to the Kazakhstan Embassy in Washington DC a couple of years ago I regularly noted the statue of a young Kazakhstan warrior precariously balanced on the back of a winged snow leopard. The valiant young gentleman also features on the Kazakhstan 5000 tenge note. ▲ I had no trouble recognising this statue on a recent visit to Rome because I’d been in Albania just before. 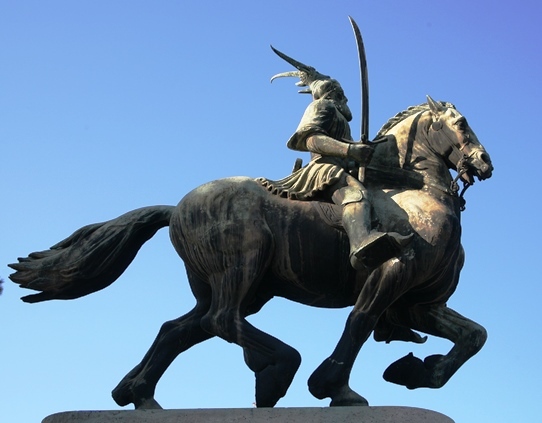 Yes it’s national hero Skanderbeg – he bravely resisted the Turks and is shown astride his mighty horse. 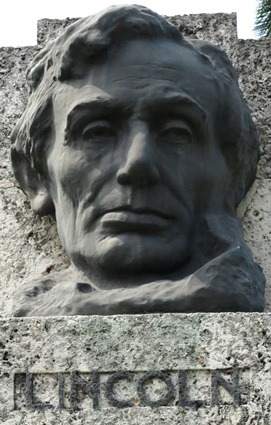 ◄ In Havana, Cuba just a few weeks ago I found this bust of Abraham Lincoln in the Parque de la Fraternidad. It’s the only statue of an American President on open display in Havana.